FingerPaints Bright Lights, Big City collection! IT'S MY BIRTHDAY! Happy birthday to me! :) I've already snagged some great gifts, and I plan to spend the rest of my day relaxing and doing absolutely nothing! 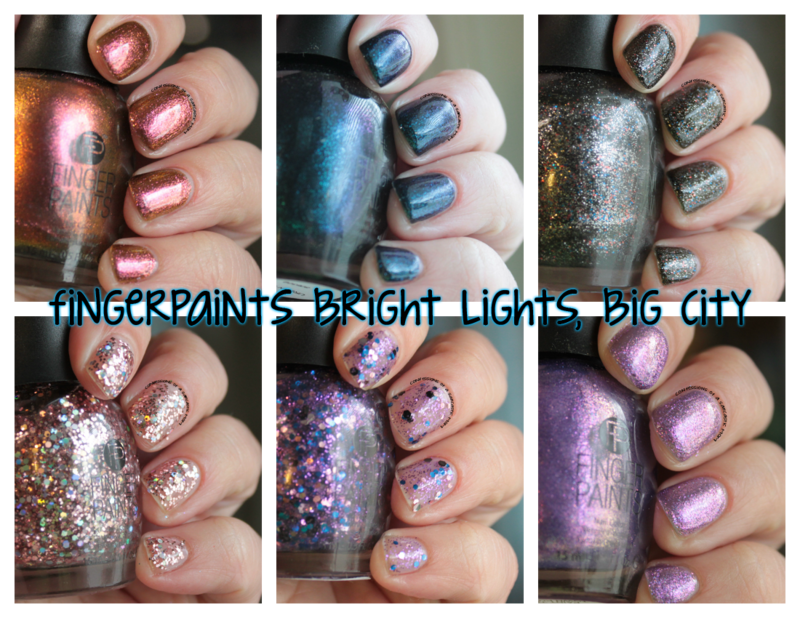 But today's post isn't about my birthday, it's about the FingerPaints Bright Lights, Big City collection! This is a flashy, shifty collection! With it being winter, I have scant amounts of natural light - but for the most part these look best in natural, non-direct light. So what are my thoughts? Check them out after the cut! The blue-purple shift of Urban Lights is fascinating. However, it's hard to capture! I could sit here all day and shift my hands around and catch that shift, but getting it on camera wasn't happening with me. Pictured is two coats on it's own. 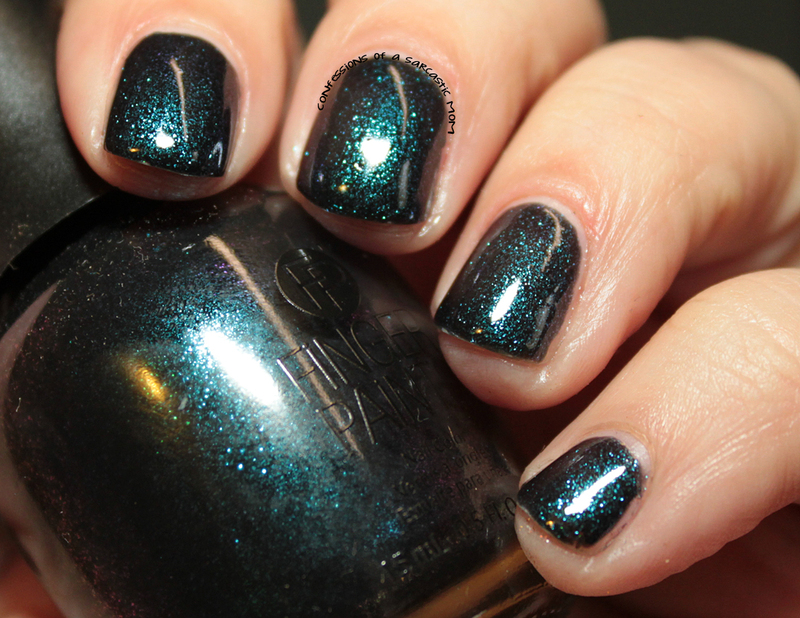 Hey Mr. DJ is a black jelly base with different shades of glitter packed inside. Pictured is two coats on it's own. It's pretty packed! So shiny. 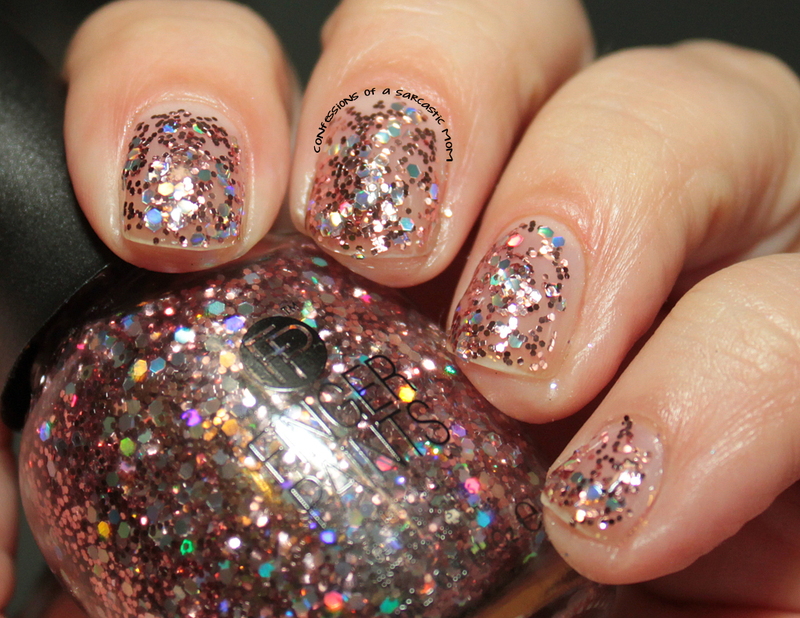 In The City Lookin Pretty is one of the two glitter toppers of the bunch. 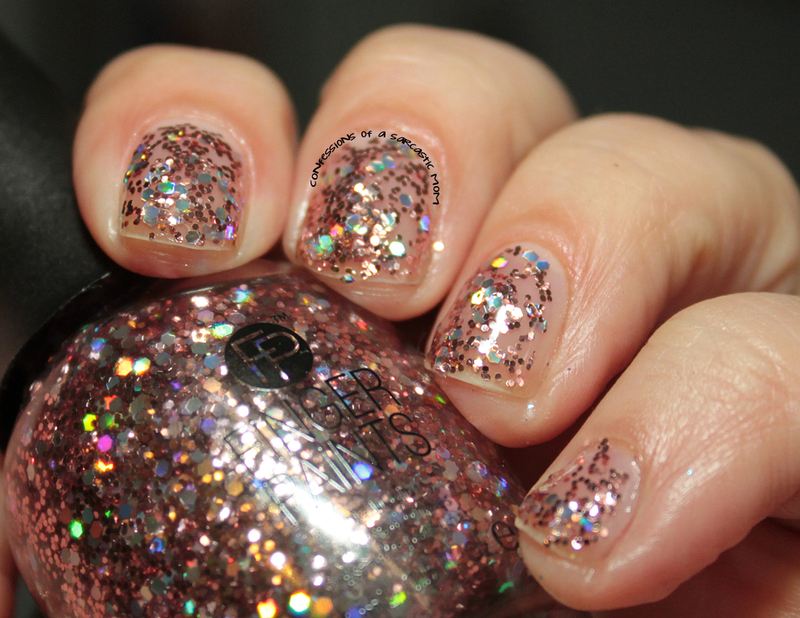 It's a clear base with pink glitters. I had trouble with it only in the aspect that it was a little too packed for traditional application haha! What you see is one dabbed on coat - yes one. It didn't spread well, but I dabbed with the brush on my nails, and it worked well! I thought about putting Dance Floor Diva over a base, but I think it ended up okay with it. 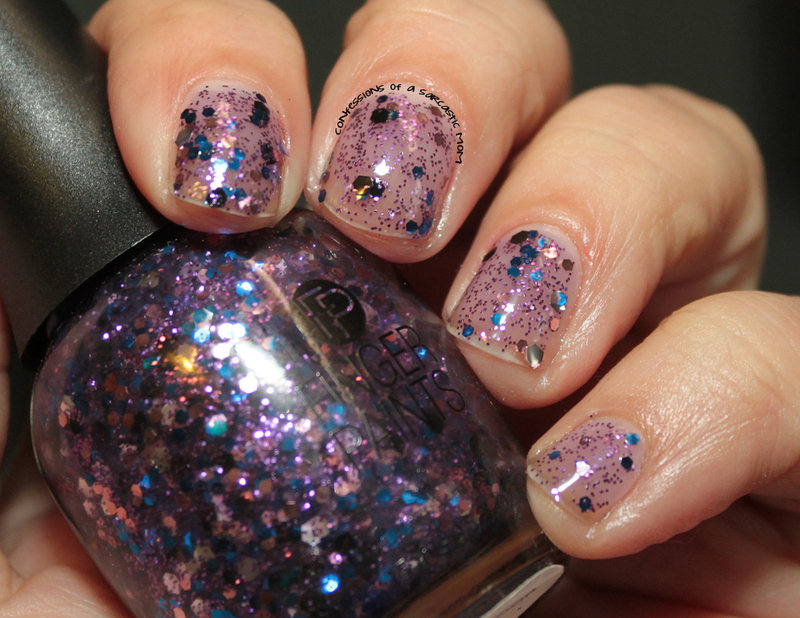 The base is a lightly pigmented purple jelly, and the glitters are blue and purple. The base is kind of thick, but I think it should be ok with thin, dabbed coats. Pictured is two coats on its own. What do you guys think? Do you think you'll pick any of these up? They are to be released in January - so keep your eyes out if you want them. 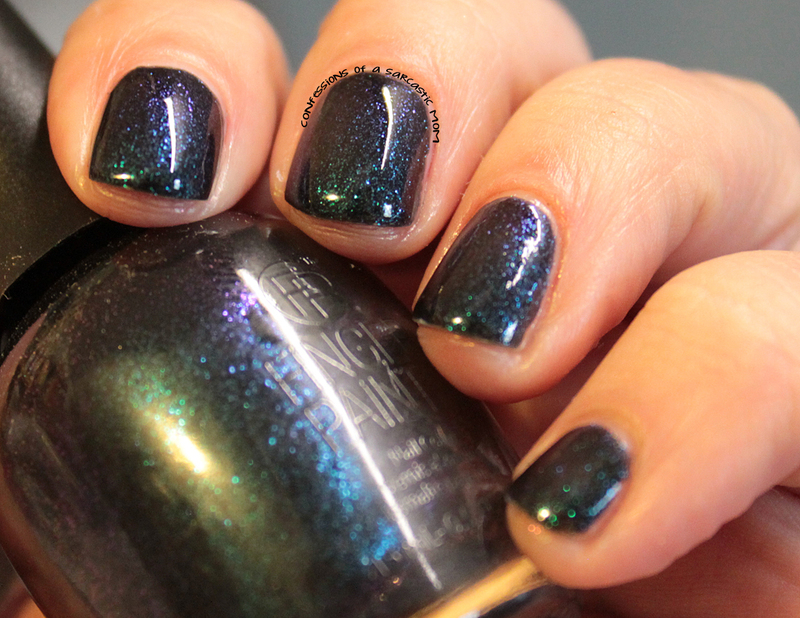 FingerPaints polishes are available for Sally's Beauty Supply.